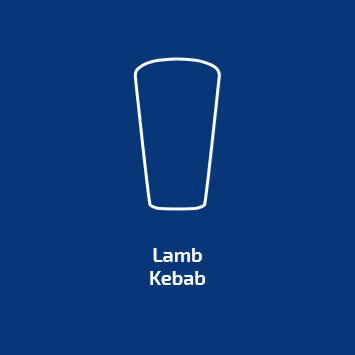 Having problems with your kebab? Solution: Sharpen your blade. We recommend changing your blade every 2 months. Solution: Trim off blistered areas, move the kebab as far away from the heat as possible and continue cooking until golden brown. Likely Cause: Your kebab is overcooked. Solution: Trim off overcooked meat, move the kebab as far away from the heat as possible and continue cooking until golden brown. Likely Cause: The top layer of the meat has been cooked too quickly (and/or) on too high a heat. Solution: Move your kebab as far away from the heat as possible and continue cooking until golden brown. Likely Cause: This happens when a knife blade has come to the end of its useful life. Solution: You need to replace the blade on your knife and continue cooking and cutting your kebab. Likely Cause: Bacteria is growing on your kebab. This could be because it hasn’t been stored correctly – or has been refrozen. Solution: Persuant to Food Standards Agency regulations – If your kebab has been left at a temperature of more than 8 degrees C for more than 4hrs its is unfit for human consumption and may appear red. Your kebab must be disposed of. Can’t find an answer to your problem? Want to get the most out of your Kebab?